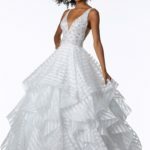 Satin Striped Organza Ballgown with Beading. 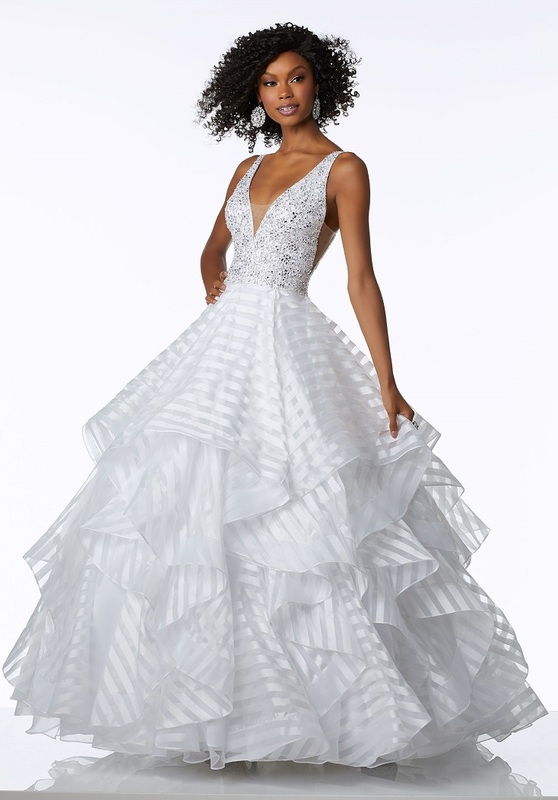 Stunning Satin Striped Organza Ballgown with a Deep V-Neckline and V-Back. Sheer Insets Along Plunging Neckline and Sides. Colors Available: Black, White, Light Blue, Wine. © 2017 Sarah's Bridal All rights reserved.